Being a chef means you can get around a fair bit. Ask Tyler Gallant, he knows. The Bunbury PEI native graduated from the Culinary Institute of Canada, and then took on the world. His whirlwind trips have taken him to Boston and Nantucket, Bermuda and St. Martins, not to mention St. John’s Newfoundland. When he came home again, he worked at such notable spots as The Pearl, Shaw’s and Mavor’s. And he brought with him a wealth of experience. Today, his life is still a whirlwind. He is Chef, owner and whatever else is needed at Gallant’s Shellfish and Seafood in Stanley Bridge. While his focus is on the best, locally sourced seafood, he loves what PEI has to offer. 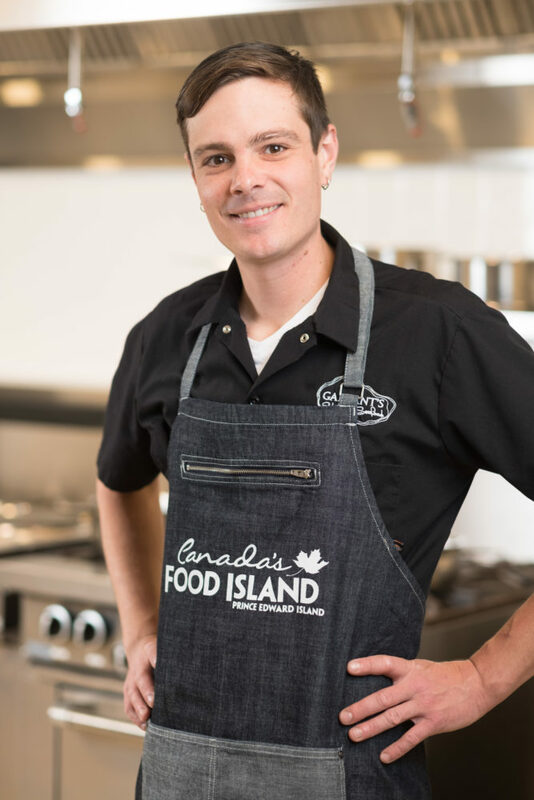 “We’re Canada’s Food Island , so I think we need to celebrate the food we make as well as the food we grow. No matter where I’ve travelled, we have some of the best to use here, so why not?